CHA’s Tree of Life is a mural in the shelter’s main hallway. Each leaf, butterfly, bird and squirrel purchased will be personalized to symbolize your generous donation to help us continue our mission of helping the homeless cats and dogs in Central Ohio. 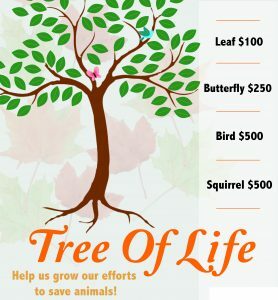 Please consider being a part of our Tree of Life and donating below today. A Certificate of Caring is a wonderful way to thank animal-loving friends who have everything or who are celebrating milestones—graduations, Mother’s Day, Father’s Day, holidays, birthdays, and more! With your purchase, a Certificate of Caring will be sent to a recipient of your choice, inscribed with a personalized message to indicate that a generous donation has been made in their name to help care for homeless and abandoned animals. Please click below and PayPal will walk you through the payment process. Please include your message as well as the recipients name, address and/or email that you’d like us to send it to. Do you know of an animal in the shelter that is very special or who has really warmed your heart? Perhaps it’s not the right time for you to adopt, but you’d love to help get a certain animal adopted? 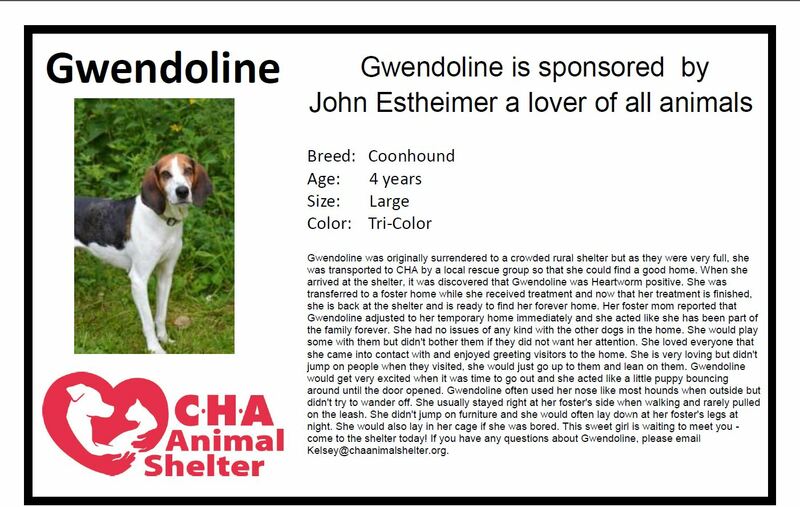 Sponsor a Pet is a great way to tell potential adopters that this animal is special, and is worthy of finding a great home. 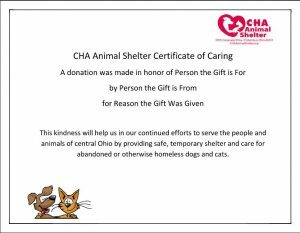 The sign will be hung on the animal’s cage at the shelter and your sponsorship will be added to the description of the animal on our website. 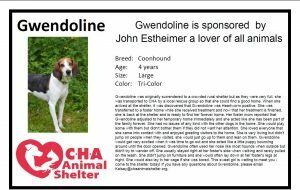 For only $25, you will receive a card with a picture and description of the animal you sponsored. For an example, click here. You can sponsor the Pet as a gift on behalf of someone else or in their honor or memory. Please click below and PayPal will walk you through the payment process. Please include the name of the pet(s) you have chosen as well as the recipients name, address and/or email if for a gift.